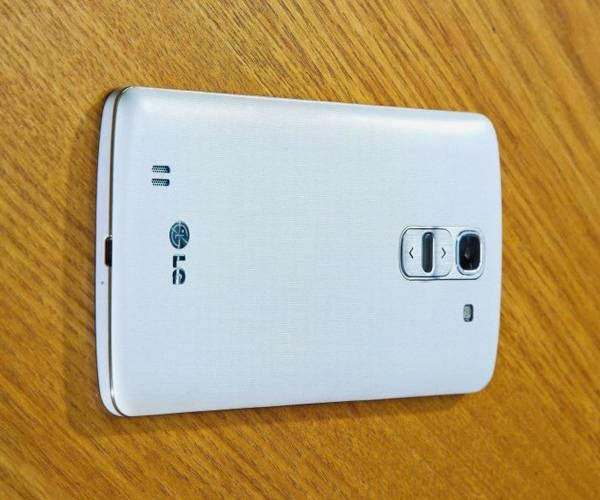 The first images of LG G Pro 2, the upcoming phablet from the South Korean company's stables, have leaked online. This leak comes just days after the manufacturer confirmed that it will launch the model at the Mobile World Congress, scheduled for February 24-27. LG G Pro 2, as the images show, will have the volume and power/lock keys below the camera. The company had introduced this hardware key setup with the G2 smartphone in September last year. According to earlier reports, the successor of last year's Optimus G Pro phablet will have a 6-inch display with 1920x1080p resolution. It is also said to feature a quad-core Snapdragon 800 processor and Android 4.4 (KitKat) operating system with LG's Optimus user interface. LG is also expected to add software features like Knock, Guest Mode, Slide Aside etc in the upcoming model. A top-end phablet, the G Pro 2 will be positioned against the likes of Samsung Galaxy Note 3, Nokia Lumia 1520 and HTC One Max in the market.